The current plan for the Lake Claire Beach restoration by Biohabitats includes the installation of reef balls to help break the power of the waves, and hopefully stop the erosion and loss of sand at our beach. 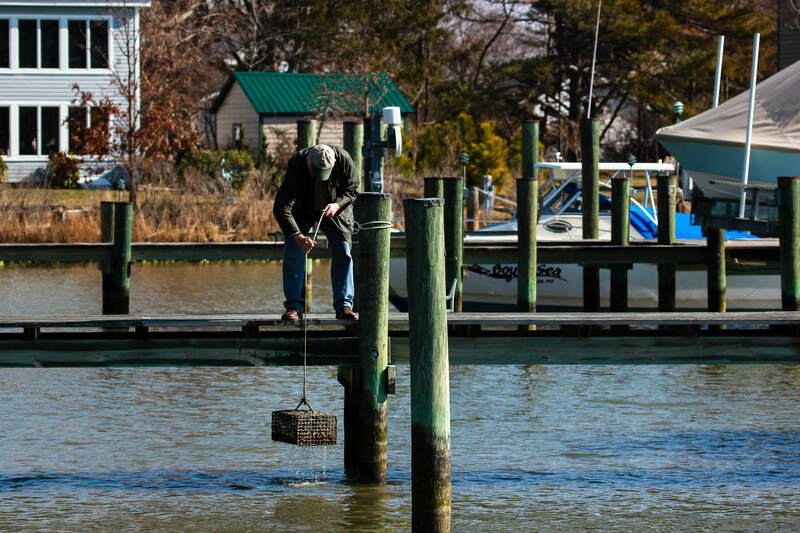 In this video from the Virginia Chapter of The Nature Conservancy, note the oyster farmer talking about the oysters cleaning the water, increasing submerged aquatic vegetation (SAV) on his farm and attracting minnows and other life among their floating cages – those are the same ecological benefits the oyster reef balls will provide our beach at Lake Claire. In a cooperative effort with support from DNR, the Oyster Recovery Partnership, the University of Maryland Center for Environmental Sciences and teaming up with the Magothy River Association, Cape Conservation Corps members host a local “chapter” of Marylanders Grow Oysters for the South Shore of the Magothy River. Each year, we have over 100 of our neighbors hosting cages full of baby oysters on their piers. Oyster cages are also hosted at the Cape St. Claire slips piers and Fairwinds Marina. Combined, growers take care of more than four hundred cages. Each cage contains from 250 to 500 spat, or baby oysters which everybody plants on a sanctuary reef in the Magothy River in the early summer, then collect their share of the next generation of oyster babies in early September. efforts. What are you doing in your yards and gardens to provide habitat, shelter, and water essential for our wild friends? We want to know what steps you have taken to make your landscape wildlife friendly. What nature-friendly landscaping are you using to be a good steward of your property? We believe even the smallest changes can make a big difference and have a positive impact on the environment. If we decrease our own footprint we can begin to transform the natural world and build positive connections. Please take a few minutes to let us know what changes you have made in your own gardens and landscapes to create healthy natural spaces for wildlife, promote clean waterways and be a good steward of your land and you could become our next Habitat Hero. We will spotlight you on our website and Facebook page as a Habitat Hero, and place a sign in your yard. Please send an email to admin@capeconservationcorps.org to nominate yourself or a neighbor and tell us what they (or you!) are doing in their landscape that makes them a true Habitat Hero! If possible please include a photo or 2 showing your wildlife friendly space. 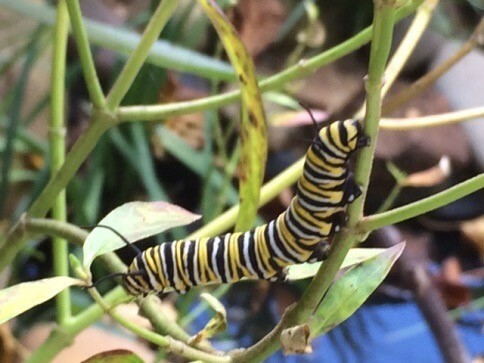 Have you planted bird, butterfly, and other pollinator friendly native plants for food, cover, shelter, and host plants? Reduced your water usage by using native plants? Reduced the amount of lawn –adding more native groundcovers/herbaceous plants, shrubs and trees? Reduced or eliminated the use of chemicals in your yard for healthier, sustainable landscapes? Controlled or removed invasives from your property—English ivy, pachysandra, nandina, barberry, honeysuckle? Left the leaves for over wintering insects and winter food source for birds and small mammals, left plants standing until late spring? Added a water feature to your yard to attract frogs, toads, dragonflies, and birds? The possibilities are endless—please share what are you are doing to be a good steward. Your yards do not to have to be 100% native or completely converted to a nature-friendly landscaping. We are looking for people who are making changes to a more sustainable, healthy habitat for wildlife to flourish. Each quarter we will select a habitat to feature on our website, and Facebook page.